Stacy graduated from Marquette University in 1993 in physical therapy and received her doctorate (DPT) from Evidence in Motion in 2018. As part of her doctorate, Stacy completed a “Therapeutic Pain Specialist” certification and has a special interest in helping people manage chronic pain. She has practiced in a variety of clinical settings, working early on at the VA Medical Center in Milwaukee. She began learning about women’s health and pelvic health while working in her own private practice (and rehabbing her own post-partum issues) and then specializing in this area at a private practice clinic. 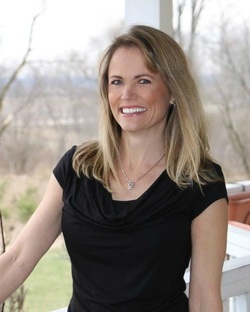 Stacy is continually focused on taking continuing education, with specialized coursework in Pelvic Health, manual therapy and movement science. Stacy is also a movement & yoga teacher and finds many unique ways to incorporate yoga and body awareness into her patient’s rehabilitation. Helping people with incontinence, post-partum issues, and pelvic pain or dysfunction return to fitness or activities they love to do (or need to do) is a passion. Stacy views her role as collaborative- focused on each person’s unique goals and journey. What have been the highlights along your professional journey so far?Early on while working at the VA, I learned the value of a teamwork approach in helping people with complex medical conditions. More recently, learning to teach movement and restorative yoga classes has given me a new perspective for helping people with pelvic-health related issues. Most of all, I have loved being able to help guide people in their recovery back to activities in their life that had become too painful or too difficult. What can a patient expect from a physical therapy session with you?I have learned the importance of really listening to my patients. I care about each and every person I see and want to hear their story, seeing them holistically and deciding on goals together. After a thorough evaluation, each session tends to use a combination of hands-on manual therapy work, specific movement or individualized exercise and education. I am always evaluating how progress is going to see if we need to change direction or do something different. I expect my patients to be actively involved in their rehab and their “homework” may include a variety of activities that we agree on together, making sure it is doable and fits within their lifestyle. How do you stay healthy and well?I love hiking, yoga and what I call “exploratory movement”, getting creative and making things up as I go. I’m working on getting back into jogging and lifting weights. Variability in my exercise routine is key to me. I try to eat well-balanced meals. Getting good and plentiful sleep is always a challenge but a necessity for me! What are your favorite hobbies/things to do?I most enjoy nature trails and hiking alone or with friends, as well as yoga- it’s a great way to clear the mind! In the past, I have enjoyed painting in a variety of mediums, including murals. Most of all, I love to spend time with my husband and 4 kids through their activities, exploring new restaurants, visiting parks or local swimming holes or just hanging out at home.